What do the U.S. Vice Presidential Mansion, San Francisco’s Candlestick Park, Oakland A’s Stadium, Caves Valley Golf Club, Lucas Films ‘Star Wars’, and The Sanctuary Golf Course have in common with Green Touch? They all have grass grown by Green Touch Landscapes. At Green Touch Landscapes we know how to manage your grass. Having grown Kentucky Blue Grass in many climates of the U.S. we know just how truly tough and drought-tolerant it can be when managed correctly. Let us deliver the lawn you love without the water use many people think it needs. 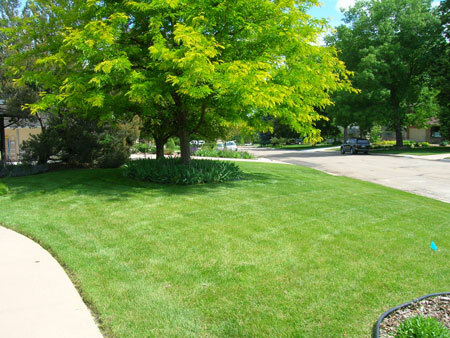 We care about your lawn, which is why we will be there weekly to help you maintain it. In addition to lawn cutting, we offer: aeration, fertilizing, weed and disease control, renovation or overseeding, and irrigation.